At the mere mention of Ethiopia, most people would start thinking or imagining a country that has been stricken with famine as most do not know that one of the most important economic activities in Ethiopia other than their struggling agricultural activities is mining. 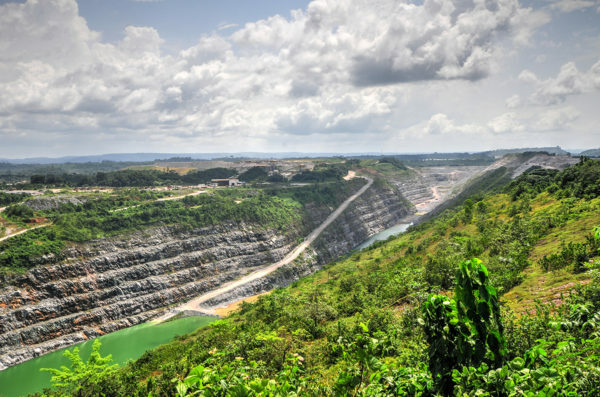 Ethiopia’s mining industry is formidable and the list of natural resources from the extractive industry includes gold, titanium, iron, gemstones, coal and not to mention natural gas. However the mining industry in the country only makes up 1 % of the total GDP in the country but with rising prices of precious metals their GDP is expected to rise along with it. Ethiopia has been on a steady tangent with regards to its economic conditions and since 2002 he regulations pertaining to mining that were issued in 1993 with the objective to promote exploration and development of the country’s natural resources have finally paid off. Believe it or not, Ethiopia is about the only country on the planet that is regarded to have underdeveloped hydrocarbon and mineral wealth and due to this, the opportunity for this country with regards to its future economic development is foreseen as a significant catalyst for the economic development of the country. As early as 2011, economists had predicted that Ethiopia will be experiencing a phenomenal economic growth rate that could lead it towards becoming a country that had the third highest growth rate in the world by this year, after China and India. Although this was not achieved, the country’s growth rate has been significant enough based on the fact that Ethiopian gold exports have been on an upward trend and coupled with the nation’s free market policies which allow private and governmental agencies to capitalise on the land’s vast natural resources things have been starting to look better for the country. The new policies which re-injects the 35 % tax that are levied upon all mined ores, plus the 8 % on royalties not to mention the 5 % free equity shares that all mining companies are supposed to allocate to its denizens, Ethiopia is slowly transforming into Africa’s Utopia if things were to continue as they are now. A significant portion of what is mined from Ethiopia is channelled mainly into the jewellery industry of Asia and followed closely by nations of the EU that purchase Ethiopian gold for investment purposes purely. It seems that the Ethiopian Mineral Development Share Company which is actually an agency established by the Ethiopian government oversees all mining operations conducted within the nation’s borders have been doing a remarkable job at enhancing the country’s economy via the extraction industry. On the flipside however, there is very little domestic demand for gold which has raised legitimate concerns about Ethiopia going dry within the next 2 decades as their natural resources run out leaving the infrastructure of the country at a standstill as Ethiopian infrastructure is still considered to be below par even for nations that are regarded to be in the ‘developing country’s status’ that might lead them back towards poverty that they are only now emerging from.